Why Do I Need a Target Market? 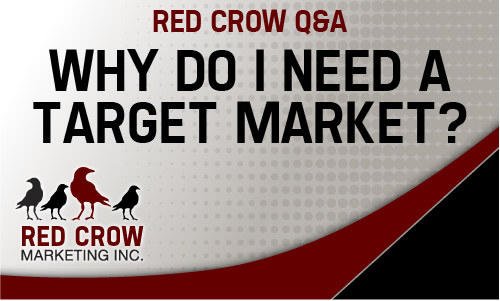 This edition of Crow Q&A answers the question: Why do I need a target market? I want everyone to purchase from me. Have a marketing question you want answered? Ask us now!